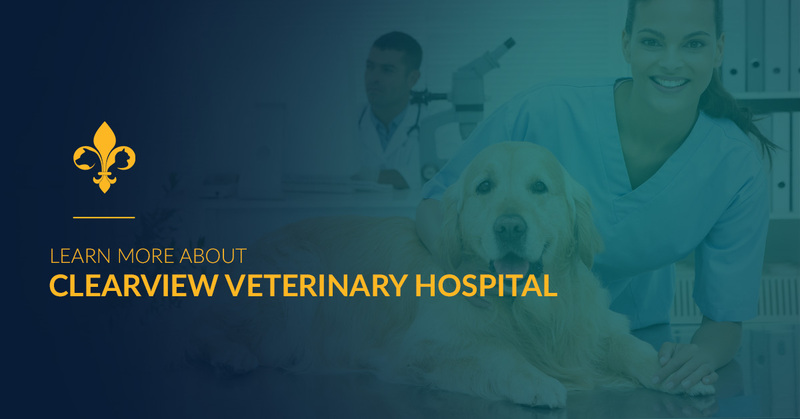 Veterinarians in Metairie: Learn More About Clearview Veterinary Hospital! Learn More About Clearview Veterinary Hospital! 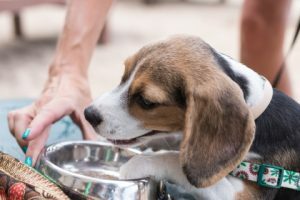 At Clearview Veterinary Hospital, our mission is to develop a personal connection with each and every one of our clients, regardless of their species or breed. As part of our ongoing commitment to providing you with exceptional customer service, today’s post is dedicated to providing you with a wealth of information about our Metairie animal hospital. 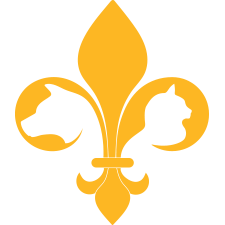 We’re proud to be a Top Rated Local® veterinary hospital serving residents of Metairie and the surrounding areas. Whether your pet needs to be boarded while you’re away, or they simply need an annual checkup, we’ll provide you with unparalleled care each and every time you walk through our doors. Read on to learn more about our practice, and visit this page to schedule an appointment! Clearview Veterinary Hospital is proud to have some of the best veterinarians and animal care experts in the nation under one roof. Dr. Janet Tosh is a native of Louisiana, and she possesses more than 30 years of veterinary experience. She’s helped hundreds of animals thrive and recover from injuries and illnesses, and her dedication to the practice is a true gift to Metairie residents. Her passion for helping animals is evident from the moment you walk through the doors! Dr. Jennifer Bennett graduated from Colorado State University’s College of Veterinary Medicine, which is among the best programs in the United States. She then joined the Clearview team in 2014 and recently took over as the owner of the practice. Dr. Bennett has performed extensive work with a variety of different wildlife, including species found in Panama, Costa Rica, and South Africa. In addition to her outstanding veterinary work, Dr. Bennett has also been working to redefine how we think about childcare. Her first daughter was born a year after her internship, and like many parents, she did not want to choose between her family and her work. Instead of putting her daughter in daycare or hiring a nanny to come to her home, she set up a nursery room in the office and found a nanny to come to the practice. You can read more about her inspiring store here! You can also visit this page to learn more about each of our fantastic staff members! At Clearview Veterinary Hospital, we know how important your furry friends are. We see them as an extension of your family, and we will always provide them with the compassionate care they deserve. You don’t have to take our word for it, though. Read our outstanding testimonials to see what clients are saying about our Metairie animal hospital! We provide everything from pet vaccinations to dental care and surgery, allowing you to provide your pet with the services they need in one convenient location. You can view our full list of services here! Leaving your pet doesn’t have to be difficult. Whether you’re leaving town for several days, or you simply need a place for your pet to stay while you’re at work, we’re always happy to help you out with pet boarding! We offer clean lodging with walks, exercise, and plenty of time for your furry friend to play with others. Baths are included for dogs who stay with us for more than five nights, but you can always add one to your pup’s visit if you want them to have an even more luxurious experience with us! Call Clearview Veterinary Hospital Today! Keep an eye on our blog page, as we’ll continue to provide you with information about our Metairie animal hospital in the coming weeks and months. Book an appointment through this page, or fill out the form below to reach out to us via email. We look forward to speaking with you!